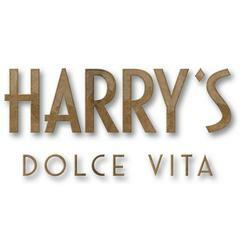 We’re looking for a Head Waiter to help lead our front of house team at Harry’s Dolce Vita. You’ll have previous experience working as a Head Waiter and a passion for motivating and inspiring a team. The pace is fast and the standards are high, but if you are passionate about delivering an excellent guest experience, it could be the start of a great career. <br><br>You will:  <br><br>• Implement the agreed company sequence of service, providing an efficient, friendly<br>and professional service at all times<br>• Monitor the service standards of the team by working with management, and implementing an action plan to improve service when necessary<br>• Be responsible for directing and motivating a team of Waiters<br>• Gain product knowledge and help build the guest experience<br>• Ensure that the restaurant is set accordingly to standards <br><br>What’s in it for you? <br><br>• Top class training – before the job and on the job, plus opportunities to progress<br>• Excellent staff meals, served exactly as they are to guests<br>• A generous staff discount when dining at our sister restaurants nationwide<br>• Lots of great benefits including cycle to work scheme and savings on things like gym membership and cinema tickets     <br>• Reward programmes recognising employee longevity and recognising those who promote us as an employer of choice   <br>• A great work-life balance and plenty of opportunities to socialise with your team outside the workplace<br>• External support in partnership with the charity, Hospitality in Action - providing access to legal care, financial support & personal advice<br><br>Who are we? <br><br>Harry's Dolce Vita is an Italian restaurant in the heart of Knightsbridge, serving breakfast, lunch and dinner with an extensive Italian wine list and classic cocktails.<br><br>Reminiscent of 1950s and 1960s Italian glamour, Harry's Dolce Vita is a mixture of legendary Italian charm, delicious unfussy food, inspired cocktails, stylish decor and some good old-fashioned fun.